One Tree Hill, known as Maungakiekie (Mountain of the Kieklie Vine) in Maori, is one of the fifty volcanic peaks (not all of them extinct) on which the city of Auckland sits. Be sure to come here if you’re a fan of the band U2. They wrote the song “One Tree Hill” (part of The Joshua Tree album) to honor Greg Carroll, a Maori man that the band had met in Auckland who had been killed in a motorcycle accident in Dublin. Carroll took Bono to visit One Tree Hill on his very first night in New Zealand. Aside from the music that inspired it, the location has an interesting and convoluted history. The land had been an important Maori hill fortress until the arrival of Europeans who purchased the lands in the 1840s. The surrounding property passed to John Logan Campbell, a politician, who deeded it to the city for public use. The lands became known as Cornwall Park. 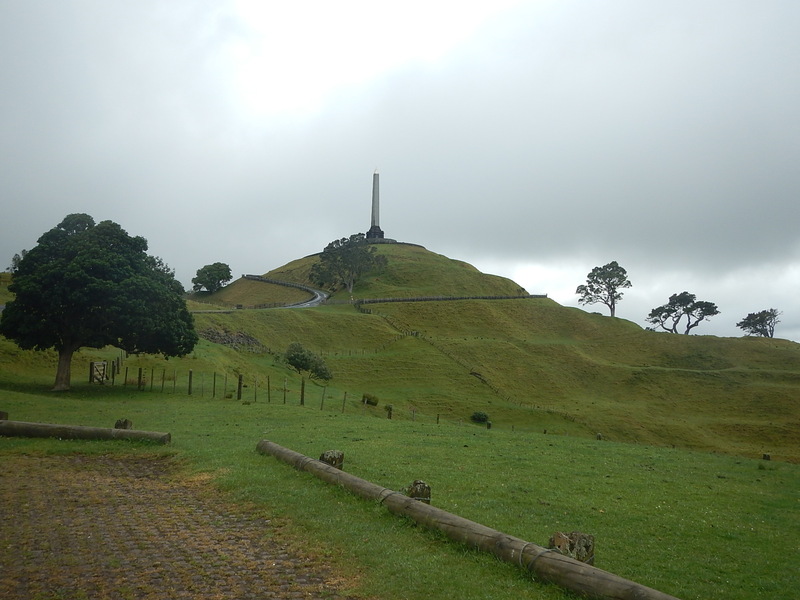 In consideration of the transfer, Campbell requested that he be buried at the top of One Tree Hill and also requested that a memorial to the Maori people be built on the site as well, which is the obelisk at the top of the hill. If you visit One Tree Hill, you’ll quickly notice that there is no longer any tree at the top of the hill, so you will sometimes here it referred to as “None Tree Hill.” A totara, a sacred tree to the Maori, had been removed by a British settler in 1852. In the 1870s, a radiata pine was planted in its place. Campbell attempted to plant other trees at the top of the hill, but none survived. Maori activists attempted to hack the pine tree down in 1994 and they were ultimately successful in 2000. The Auckland City Council has made plans to replace the tree; however, whether another tree will be planted at the top of the hill is uncertain until claims under the Treaty of Waitangi (a founding document of New Zealand between the Maori and the English that remains a source of interpretation and controversy) can be resolved. I visited One Tree Hill on a mostly cloudy day in Auckland, but still managed to take some great pictures and admire the view. You can either drive your car all the way to the top or walk up from the base of the hill. 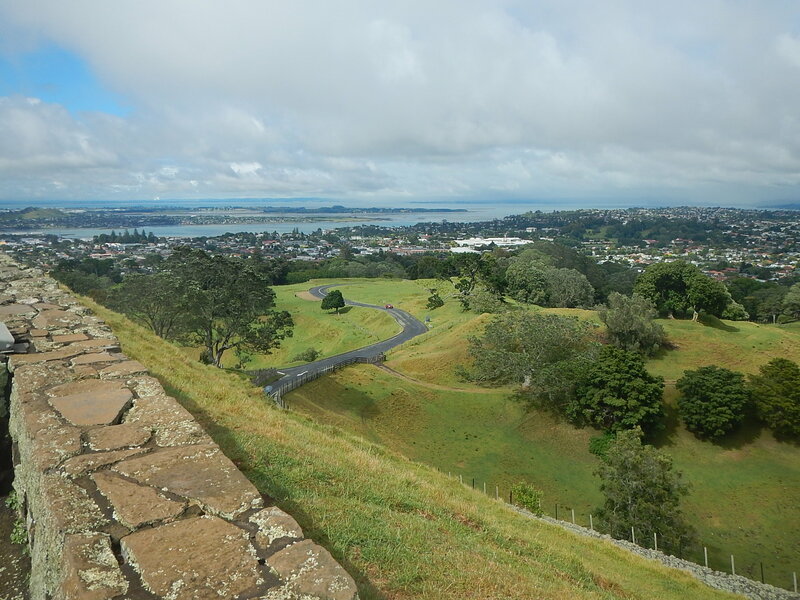 One Tree Hill will certainly remain a special place in my memory as one of my first sightseeing visits in New Zealand. It makes for a great first stop for visiting Kiwiland and also for familiarizing yourself with New Zealand’s history and culture. Have a listen to the U2 song before going as well! Have you been to One Tree Hill? Where else do you recommend visiting in Auckland?